A pilot introductory course on storytelling was organised in autumn 1999 as part of the first Stories from the Hearth season. Download the report here. Since then, skills development has been part of the annual storytelling season. This usually takes the form of single workshops or one-day seminars, sometimes targeted at particular groups, e.g. teachers, but most often available to all. Download a sample brochure here. 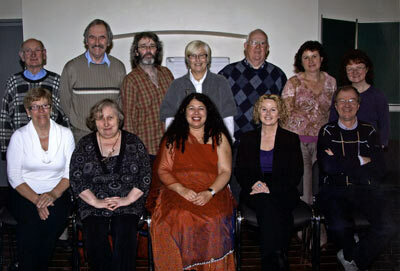 Thirty local students completed a third level Certificate of Storytelling course in 2006. Originating in a partnership between Wexford County Council Libraries, Carlow Institute of Technology, Wexford Campus, and the Wexford Organisation for Rural Development, the course was delivered by the staff of the University of Glamorgan, Wales. The course aimed to introduce students to storytelling – both in performance and as a tool for use in a variety of applications – ranging from education to social work, healthcare to working with disadvantaged communities or as a means of recording and exploring local history and traditions. The course helped students develop research and critical skills. There was a strong community focus, allowing students to develop and engage in storytelling work in their own locality and in ways that are directly relevant to them. The student’s participation in this ‘Level 1′ University-validated course has provided them with new skills, a challenge and a sense of success that they might not have obtained otherwise. The theme “Storytelling and its social impact” was addressed by Prof. Hamish Fyfe of University of Glamorgan, Wales in Bunclody Library on Friday 23rd and Saturday 24th November 2007. Open to novice storytellers, the class was an interesting follow-up for participants on the year-long Storytelling Practice course run in 2006. Topics covered included narrative and history; story and context; digital storytelling and stories and the very young. Participants had an opportunity to consider examples of the best innovative storytelling practice around the world to explore the issues raised. Exploring the theme of multi-culturalism, Sri-Lankan storyteller, Debbie Guneratne was guest-lecturer for the Masterclass in November 2008 in Enniscorthy Library. 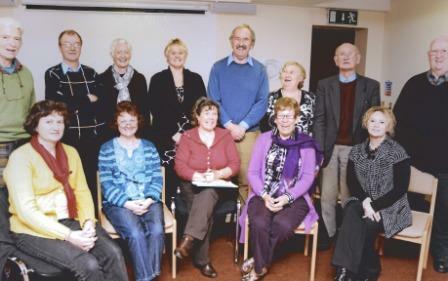 The theme “Telling with conviction – from inward to outward” was addressed by guest lecturer Scotish Storyteller David Campbell in Bunclody Library on 19th November 2009. The session was covered through a mixture of workshop activities, discussions and lectures. The students explored how to communicate with mastery at the deepest level and how the need to relate to the stories told, to the full range of our own experiences and emotional journeys.